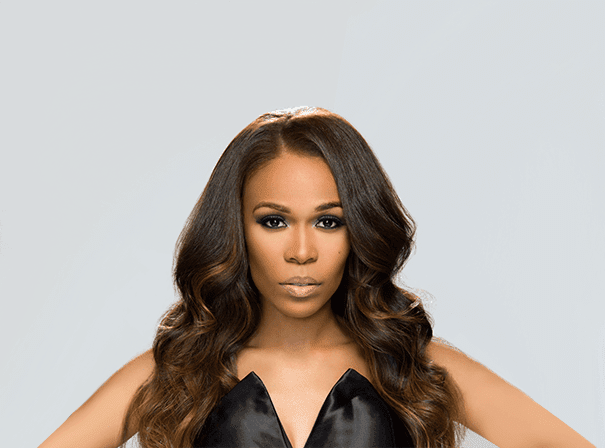 Michelle Williams is the multi-award winning International singer, songwriter, record producer and actress who is continually reinventing herself. She is best known as one-third of the successful r&b group Destiny’s Child, one of the world’s best-selling female groups of all time. In 2006, Michelle Williams, Beyonce Knowles and Kelly Rowland collectively received a star on the Hollywood Walk of Fame for their contribution to entertainment. Along the way, Michelle was the first from the group to explore solo terrain. The award-winning Heart To Yours, which featured a collaboration with the legendary Shirley Caesar, entered the Billboard Top Gospel Albums chart at #1, peaked at #3 on the Top Contemporary Christian Albums chart and became the year’s top-selling Gospel album. Her second solo album Do You Know achieved similar success, peaking at #2 on the Top Gospel Albums chart and #3 on the Top Christian Albums chart following its release in 2004. Unexpected, her third solo album, introduced a bold new dance/pop sound for Williams, showcased by the #1 Billboard Hot Dance tracks ‘We Break the Dawn’, ‘The Greatest’, and ‘Hello Heartbreak’. Away from music, Michelle has conquered another challenging mountain as an actress by taking the reigns of Broadway’s ‘AIDA’ in 2003 to critical acclaim and audience raves. She has also appeared on a number of UK and US TV shows and devotes lots of her time to charitable causes.